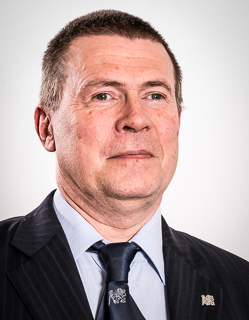 The Rector is the top representative of CTU, and the university’s representative in relations with other universities in the Czech Republic and abroad, and with public and state organs, especially with the Ministry of Education, Youth and Sport, with business circles and with members of the public. According to the terms of his/her appointment, the Rector is responsible to the President of the Republic, and in matters laid down in the law he/she is responsible to the Minister of Education, Youth and Sport. For the performance of his activities under the law and under the statutes of CTU, the CTU Rector is responsible to the Academic Senate of CTU. The Rector of CTU names and removes from office the Deans of the faculties of CTU, the Directors of the university institutes, the Registrar, the Chancellor and the Directors of other elements of CTU. The members of the top management of CTU are: the rector, the vice-rectors, the registrar and the chancellor; the chairman of the Academic Senate of the Czech Technical University in Prague is a permanent guest of the top management of CTU, and has access to all information available to members of the top management of CTU. Jiří Boháček studied Geodesy and Cartography at the Faculty of Civil Engineering, CTU in Prague. After graduating, he joined the Institute of Design and Development of CTU as a specialist designer, and he worked for example on the Student House project. In the 1990s, he worked as bursar of the Faculty of Architecture at CTU. From that position, he was selected as registrar of the Czech University of Agriculture, now known as the University of Life Sciences. 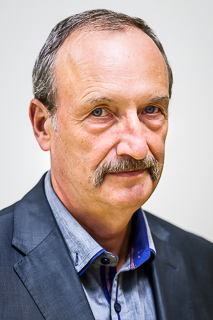 After eight years in the private sector and in the state administration (Chemoprojekt a.s.; Ministry of Education, Youth and Sport; Ministry of Agriculture), he returned to CTU in Prague in 2017 as director of the Service Facilities Administration. Since June 2018, he has been the registrar of CTU. In the field of university financial management, he aims to apply his lifetime experience and, in collaboration with the vice-rector for the university information system, to achieve full implementation of financial management software. He sees the drawing up of new strategic materials for the university, e.g. the CTU General Plan, as another key objective. In his free time, he is a sportsman, he likes trekking, being in his cottage in the country, and, mainly, travelling. Gabriela Achtenová is currently attached to the Vehicle Centre of Sustainable Mobility of the Faculty of Mechanical Engineering, CTU in Prague. Her special field is vehicle transmissions. She has held the post as vice-rector for bachelor and master’s studies since 2018. She represents the rector in matters concerning bachelor and master’s study programmes. In addition to handling day-to-day issues, she is responsible above all for setting up suitable administrative procedures, and for simplifying them and aligning them with the legal norms. One of her main aims is to clarify the offer of lifelong learning courses and to make it more attractive for companies and for the general public, so that CTU will form a repository of knowledge in which they can easily select courses according to their requirements. This will involve simplifying the administration of Lifelong Learning courses on the part of teachers and other CTU staff members. In addition, she wants bring greater efficiency and greater alignment with the laws and regulations in those parts of her agenda that still need to be worked on, for example scholarships. She aims to set up a study system that will attract greater numbers of high-quality foreign students to CTU. She will give attention to simplifying the study process for students who are parents, students with a serious illness, and for students who are international sportsmen and sportswomen. She also plans to introduce further checks, above all measures against plagiarism, to make quite clear that cheating is not normal. Last but not least, she wants to attract more girls to study at CTU in fields of engineering where females are underrepresented. Zbyněk Škvor is attached to the department of electromagnetic fields at the Faculty of Electrical Engineering of CTU in Prague. He specializes in microwave technology, dealing with microwave measurements and numeric calculations of magnetic fields. In 2002, and again in 2004, he was awarded the Werner von Siemens Prize. He is one of three winners of the IEEE Third Millenium Award in the Czech Republic. He was nominated as vice rector for science and research at CTU in Prage in 2015. In the sphere of education, his remit covers doctoral studies at CTU, habilitation procedures and appointment procedures procedures for nominating professors, and also the Student Grant Competition. In the field of research, he is responsible for information transfer and for supporting grant applications, for reporting research results, and for seeking out and evaluating excellent results achieved at the University. Within the framework of his work as a manager, he has set as his target to improve the perception of research at the technical university. In his free time, he enjoys trekking, sci-fi and fantasy fiction. Petr Kordovský graduated from the Faculty of Architecture at the Czech Technical University in Prague. In the 1980s, he worked as an architect in the Holzel & Kerel studio, mainly on the Barrandov estate projects. In the 1990s, in private practice at the PAK studio, he worked on orders and structures mainly in Prague, for example on the HSP Budějovická Centre, the Mrázovka I residential complex, and AB Chemoprojekt. At that time, he worked briefly as an assistant in the Šik studio at the Faculty of Architecture at the Czech Technical University in Prague. He then worked in private practice with Pavla Kordovská, working mainly on orders and structures in Prague, for example AB Raiffeisen Budějovická, the Mrázovka II – Nový Anděl residential complex, BB Centre building D, and AB Cortex Praha. Since 2013, he has led the Kordovský studio at the Faculty of Architecture at the Czech Technical University in Prague. He is responsible for preparing and updating strategic CTU in Prague documentation, e.g. the Long-term Plan and the Annual Activity Reports. He is responsible for the administration of projects within the famework of the Institutional Development Plan and within the framework of the Ministry of Education, Youth and Sport Central Development Projects. 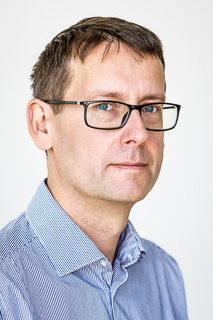 In addition, he is responsible for the agenda in connection with assessments of CTU in Prague for national and international ratings of university quality. Radek Holý is a graduate of the Faculty of Electrical Engineering of CTU in Prague. He is currently attached to the Department of Applied Informatics in Transportation at the Faculty of Transportation Sciences of CTU. In his teaching activities, he is the responsible person for courses in wireless technologies and in information acquisition from data. As a researcher, he is a member of the Laboratory of Biometric Identification and Localization in Transportation, which works on analyses, on preparing new services, and on proposals for practical applications in the field of identification and localization in transportation. He has been the CTU’s long-term co-ordinator for a centralized development project of the Ministry of Education, Youth and Sport. 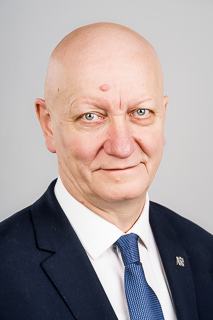 He was appointed vice-rector for the CTU Information System in 2018. He is responsible for proposing strategies and concepts for developing the information system (an information strategy), for ensuring the set-up of the IS/ICT management system, for the Information Security Management System, and for implementing the programme and managing the project for developing the information system. He supervises the work of the CTU Computing and Information Centre and the CTU Central Library. Within the framework of his work as a manager, he has set himself the task of improving the perception of the CTU information system, and continuing to promote the process of digitizing the university. In his free time, he devotes his attention to his family and to sport. Alena Kohoutková graduated from the Faculty of Civil Engineering of the Czech Technical University in Prague. At first she worked as a specialist in statics and analytics at the Construction Project Institute of Prague Capital City. Then she was a scientific worker at the Klokner Institute of the Czech Technical University in Prague, and later at the department of concrete structures and bridges of the Faculty of Civil Engineering. She is currently head of the department of concrete and masonry structures at the Faculty of Civil Engineering. Her special field is in analysing, modelling and designing concrete structures, innovative materials based on fibre concrete, and the application of these materials in building structures, the limit states for the use of concrete structures, the lifetime of concrete structures, and recycling concrete materials. She is the manager of the Centre of Competence for Effective and Sustainable Transport Infrastructure (CESTI). She has served as vice-rector of CTU for Bachelor and Master Studies, and as dean of the Faculty of Civil Engineering. 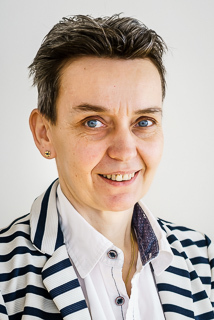 She is a member of several scientific councils, of the Czech Concrete Association (ČSSI), the Engineering Academy, and the International Federation for Structural Concrete. She is a member of the editorial board of Beton TKS magazine, and a holder of the Milada Paulová prize. 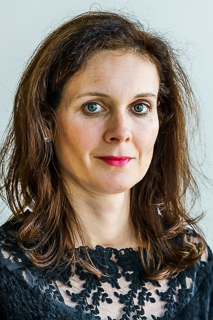 Since 2018, she has been vice-rector for construction with responsibility for the university’s investment programme. She has set as her main target to introduce a new imvestment programme aimed at reconstructing and modernizing the current infrastructure. Particular support will be given to modernizing buildings in a way that will reduce their running costs, and to the provision of high-quality facilities for teaching and teaching-related activities, and in support of synergies for the university. 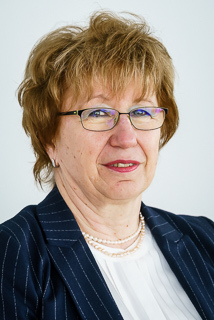 Lucie Orgoníková was formerly deputy vice-chairperson of the government of the Czech Republic for science, research and innovation. Since March 2018, she has held the position of Chancellor of CTU in Prague, in which she makes effective use of the knowledge and contacts gained in her previous positions to promote the development of the University. As a member of the CTU Board, she coordinates the administrative components of the CTU Rectorate, and she is directly in charge of the department of PR and marketing, and is the chairperson of the Council of organizers of the University Lvíčata (Lion Cubs) nursery school and basic school. She is the general secretary of the CTU administrative council. In her role as Chancellor, she has set as her priority to improve the internal and external communications of the University, in particular by attracting attention to outstanding results in science and research. She also puts emphasis on the qualitative advance of CTU in the international rankings of technical universities. Last but not least, she supports actions aimed at popularizing science and research, especially for basic school pupils, for whom CTU organizes events including the ever-increasingly popular children’s Summer university. In her free time, Lucie Orgoníková likes to take part in sports, especially in the Bohemian-Moravian Highlands region that she comes from. She also reads books on historical topics, and she spends time with her furry dog.